One of Ontario's best kept secrets, Inverhuron Provincial Park is quite small with under 200 sites. It is located on the beautiful shores of lake Huron, just north of Kincardine. This park features a nice sandy beach, biking trails and large private campsites. As this park was rebuilt over the last few years, the sites still appear to have a gravel based new look to them, but are starting to look more natural each year. The park features 2 campgrounds; Lime Kiln and Gunn Point and the best sites in each are the final row which follows the waters edge. The best sites in Lime Kiln are 165, 166, 167 and 168. The best sites in Gunn Point are 60 to 76 excluding 69, 71 and 75. Getting one of these sites will ensure that you are lolled to sleep to the sound of the rolling waves on Lake Huron. There is a unique feature in the park, that being an old family cemetary that is like stepping back in time. This is within cycling distance of all camp sites and is worth a visit. 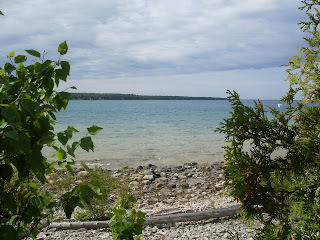 All in all, a great park to visit with spectacular Lake Huron sunsets, well maintained private camp sites and no crowds.